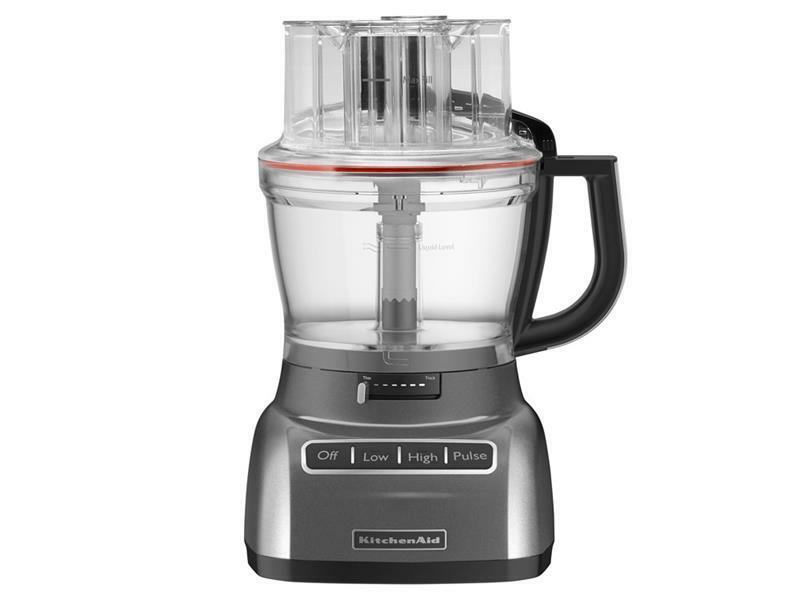 Cooking.com offers the Kitchenaid Architect 13 Cup Food Processor for $84.99 via coupon code "July15". Cooking.com offers $30 Off order over $350 via coupon code "COOK30". Also offers 10% Off order over $49 via coupon code "SAVE10". 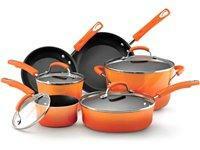 Cooking.com offers Up 65% Off Calphalon Unison Nonstick Cookware @ Cooking.com. 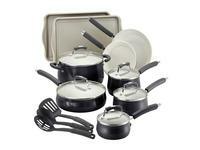 Cooking.com offers the Paula Deen Savannah Collection 17-Piece Cookware Set model no. 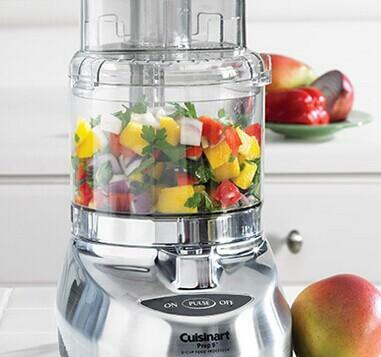 14297, in Black for $81.59 via coupon code "COOKING15". Cooking.com offers an Up to 75% OFF + Extra 10% OFF on Clearance via coupon code "JULY4TH". Some exclusions apply. Cooking.com offers the 22x18-in. 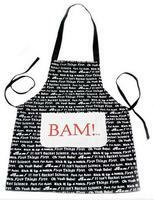 E-Quotes Kid's Apron by Emeril for $2.99. Free Shipping via coupon code SHIP. 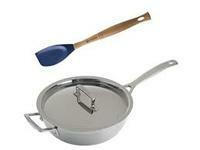 Cooking offers the Calphalon 10" Nonstick Everyday Pan with Stainless Steel Lid for $49.99 with free shipping. 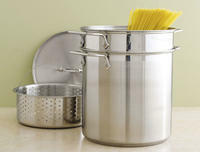 Cooking.com offers Up to 75% OFF Clearance. Free shipping on orders over $49 via code C94222. 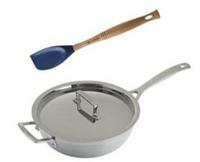 Cooking.com offers an Up to 55% off on Select All-Clad Cookware Weekend Sale + Free Shipping, no code needed. Cooking.com offers 10-in. 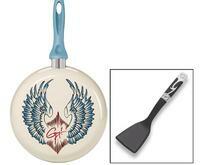 Classic Nonstick Everyday Pan with Glass Lid by Calphalon for $39.95. Deal ends May 22, 2013. 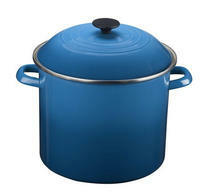 Cooking.com offers Le Creuset Enameled Cast Iron 3.5 qt. Round Wide Oven - Soleil for $149.95 with free shipping via code C94222. Cooking.com offers 10-in. 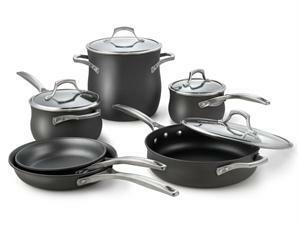 Classic Nonstick Everyday Pan with Glass Lid by Calphalon for $39.99. Free shipping on orders over $99 via code C98665. 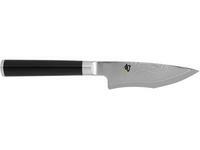 Cooking.com offers The Shun 4-in. Classic Perfect Paring Knife for $62.97. The final price will be applied at check out. 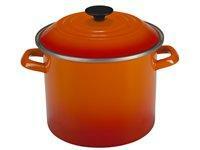 Cooking.com offers Up to 50% OFF on Le Creuset. Plus, coupon code "C98665" gets free shipping . Ending today (Feb 24), Cooking.com offers $20 off orders of $50 or more via coupon code "C82967".Some exclusions apply. Cooking.com offers Cherry Red 10.5x7-in. Stoneware Rectangular Baker with Free 7x5-in. 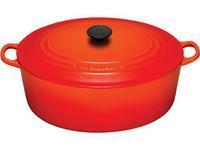 rectangular baker by Le Creuset for $39.95 with free shipping. Apply coupon code C97966 for extra 10% off. Restriction may apply to some items. Cooking.com offers Up to 86% off Clearance items. Plus,Apply coupon code C97966 gets Extra 10% off many items. 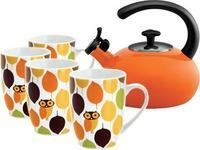 Cooking.com offers the Rachael Ray Little Hoot Tea 5-Piece Gift Set for $29.99. Coupon code "C92247" bags free shipping. The set consists of four 11-oz. mugs and matching 2-quart kettle.